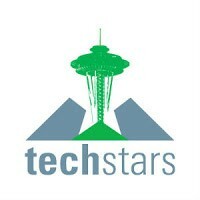 TechStars Seattle deadline is TODAY! As many of you probably already know today is the deadline to submit an application to TechStars Seattle! So far we have had some amazing teams apply, and I'm really impressed by the quality of applications we have received. I already know I'm going to have a tough time making a final decision with the teams this year! It's going to be a long weekend sorting through these apps! For those interested in applying you have until midnight tonight May 31 to apply! What are you waiting for? Apply now to give your startup an unfair advantage! May 31, 2013 by Alec Matias.